The term “landscape photography” will often have the effect of glazing over my students’ eyes. It seems so middle-aged, so remote from our urban/suburban lives. The exhibition Stormy Weather at the NGV shows that the contemplation of nature through photography does not have to be just horizontal photos with horizons. The exhibition presents Australian work that shows a complex and layered understanding of the Australian land, much of it with “an undercurrent of disruption and contradiction that suggests all is not as it may first appear.” (-NGV). For many artists, nature is the most compelling and pressing subject of the present time, a reasonable idea at a time of flooding in Queensland, bushfires in the West, and a historic drought changing places with unprecedented rains. The range of physical means employed by the artists is a feature of the show. 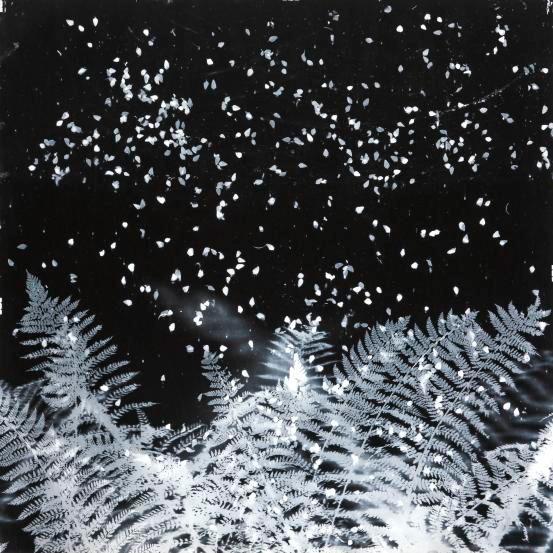 For example Harry Nankin‘s photograms (see above), are made at night with large sheets of photographic paper out in the bush. They are not photographs made of nature, they are made by nature.